Dowagiac is situated at the corner of four townships: Wayne Township to the northeast, LaGrange Township to the southeast, Pokagon Township to the southwest, and Silver Creek Township to the northwest. 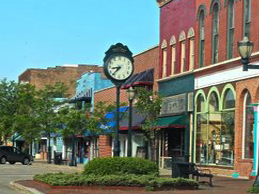 Dowagiac is a bedroom community to Kalamazoo and the South Bend, Granger and Mishawaka, refered to as Michiana. 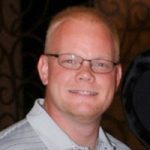 “The citizens of Dowagiac are dedicated to saving and building on their historical heritage, while at the same time embracing and encouraging an entrepreneurial spirit that creates opportunities for all of her citizens. Dowagiac Municipal Airport has a 4,700-foot (1,400 m) long paved runway for private pilots, and a turf runway, as well. The city is at the junction of M-51 and M-62. M-51 connects with Niles 17 miles (27 km) to the southwest and with I-94 21 miles (34 km) to the northeast. M-62 connects with Cassopolis eight miles (13 km) to the southeast and with M-140 nine miles (14 km) to the west. One of the oldest dial-a-ride services in Michigan, Dowagiac DART began service in June 1975 with a three bus fleet. The service is provided to the community of Dowagiac with service extended out to Southwestern Michigan College. The service is provided by the city administration and is operated from a multi-modal terminal located on an Amtrak line. In its former life, the building was originally a Michigan Central, and later a Penn Central, train station. The building has been preserved and is carefully maintained by the City of Dowagiac. 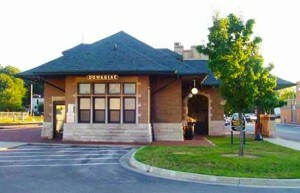 Dowagiac is served by Amtrak trains with daily service to Chicago and Detroit. The historic depot is located at 200 Depot Drive in the downtown area. Baggage cannot be checked at this location; however, up to two suitcases in addition to any personal items such as briefcases, purses, laptop bags, and infant equipment are allowed aboard as carry-ons.